DO-68477-72 was succesfully added to your cart. The Ultra SlimPak II line of conditioners has greater input, output accuracy, and stability than most signal conditioners on the market today. 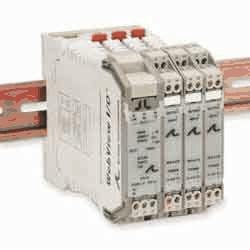 These signal conditioners are stand-alone signal conditioners that do not need the Ethernet connection in order to be configured and maintained. They are configured via DIP switches and push-button calibration. If the need for web access arrives, simply mount the Communications Interface next to a group of up to 32 of these signal conditioners, connect it to the Ethernet, and you are up and running.